Arrival: For your first massage and skin care treatments, please arrive 10 minutes before your scheduled treatment time to allow for paperwork. Your treatment is designed to begin at your appointment time. If you are late for your appointment, it will be deducted from your appointment and no discount will be given. Nail Services: Please be aware a Basic Manicure does not include shellac or gel polish. The Basic Manicure includes Opi nail lacquer, Vinylux, or Opi Infinte polish only. Cancellation: Cancellations and appointment changes should be received at least 2 hours in advance in order for the spa to add availability for other clients. Failure to give a two hour notice will require advance payment to schedule a future appointment. If a gift card/certificate or groupon is on file, the full service amount will be deducted from the gift card/certificate. The groupon will be redeemed. Spa Attire: We suggest you wear comfortable clothing for all treatments. Remember to bring sandals for pedicures and make-up is not necessary to achieve that wonderful spa glow. Cell phones: Please remember to silence your ringer while in the spa and in treatment rooms so as not to disturb other clients or interrupt your relaxation. Jewelry and Valuables: Please leave jewelry and valuables at home when possible.  Valley Springs Spa is not responsible for lost or stolen valuables. Tips and Gratuities: Your tips/gratuities are greatly appreciated. Payment: We accept cash, checks drawn on local banks, Visa, MasterCard, Discover and American Express. We accept payroll deductions for full-time Ballad Health System employees that have been employed longer than 90 days. We do accept Spa Week and Spa Finder gift cards. Due to hygiene reasons and state guidelines, pets are prohibited in the Spa. Exceptions to this are service animals with paperwork provided. Refund policy: If you experience an issue with a treatment or service, please notify us within 24 hours of your appointment. We do not offer refunds, however we do want you to be satisfied with your treatment.